The pendant measures 17x55x8mm, an Amber cabochon is wire wrapped with sterling silver wire. Images show front, wire detail and back, the pictured pendant is the one you will receive. Amber is fossilized tree resin millions of years old and is not strictly a gemstone or crystal. Amber is beneficial for purifying the body and is an excellent healer for fibromyalgia, kidney, bladder, lungs and intestinal and digestive disorders, it is also perfect for healing toothache and is very beneficial for babies who are teething. Perfect for past life recall and inner child work, bringing clarity of mind and wisdom, helping you to manifest you inner most desires whilst heightening intellectual abilities. 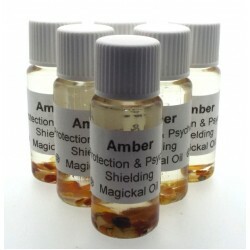 Amber is very good at cleansing the environment in which it is placed and will draw out and disperse all forms of negative energies; it will also shield you from psychic attack. Often Amber is included in love charms and mojo bags to inspire romance, love and sensuality. 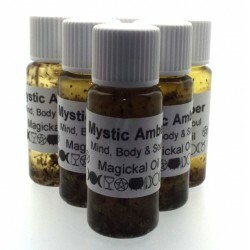 As an essence Amber will help heal wounds quicker because it is a natural antibiotic. It emanates a gentle yet powerful energy that allows the body to rebalance and heal itself whilst reducing stress and depression.